If you find yourself at a Farmer’s Guild meeting, you’re as likely to find a date as you are a tractor. 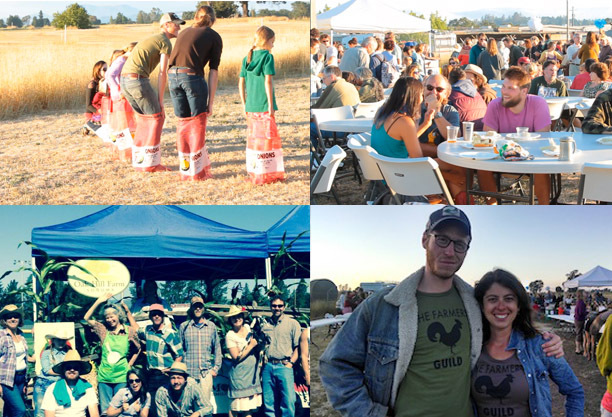 With seven chapters across Northern California, the Guild has become the “it” destination for agrarians looking to mingle. Small farmers and farm-curious folks arrive at these once-a-month gatherings to swap planting tips and talk rural life over beer and a homegrown potluck. The Guild is half party and half knowledge exchange. And it’s entirely about face-to-face connections at a time when most social networking has lost touch with its in-person origins. It was just over two year ago when Wiig and his ranchmates at True Grass Farms in Sonoma County started inviting their friends over for Meatloaf Mondays. Wiig and his crew were trying to grow crops sustainably, whether that meant pesticide-free vegetables or pasture-raised beef. The scene at dinner was a little like college freshmen asking each other directions to class and where to buy books, except as new farmers they wanted to know how much feed to give their chickens and if anyone could recommend irrigation equipment. What started out as a crowded kitchen table quickly became an event that dozens of men and women were driving long distances to attend. And right around the point when the ranch house couldn’t fit any more guests, the Guild itself was born. Today it has matured into a nonprofit with locations as far north as Mendocino, as far east as Nevada City and with more chapters soon to debut in Southern California. Everyone—from farmers to city-slickers—is welcome. You don’t need authentic pig sludge on your boots to get involved, nor do you have to be a brawny twenty-something wearing flannel. Hanging somewhere at every Guild meeting is a white board with two columns marked “I need” and “I have.” In what is essentially a rustic version of Craig’s List, attendees can post skills they want to learn, mechanical equipment they have to sell, or a service they’d like to offer. “We want the Guild to be the kind of place where one farmer can make a mistake or search for a solution so the rest of the group doesn’t have to,” says Wiig. Before joining the Guild, Nurrenbern spent years working with other agriculture advocacy groups that struggled to engage growers. 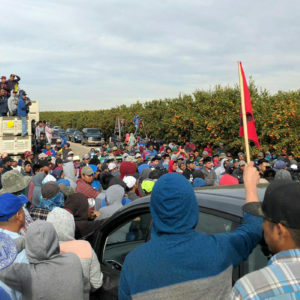 Farmers aren’t generally the sit-in-front-of-the-computer type, so the online surveys or webinars that many organizations put out often aren’t the best way to capture a farmer’s attention. But enticing a farmer to trek to town in the middle of the day for a dry workshop on financial planning isn’t any easier. 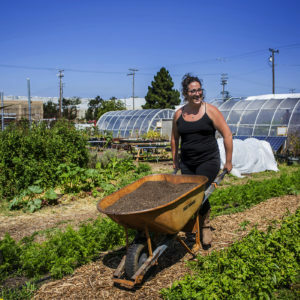 The Guild recently created a scholarship fund with several partners, including the University of Santa Cruz Center for Agroecology and Sustainable Food Systems, the Center for Land-Based Learning and the California State Grange School, to support farmers who want additional training. Around the country, other organizations, like the National Young Farmers’ Coalition, share the Guild’s populist approach. As they succeed, it’s clear that progress doesn’t necessarily require high-tech solutions. Wiig says that he was inspired by the National Grange movement, which since the 19th Century has banded farmers together to fight everything from railroad barons to GMOs. The Grange had been in decline in recent decades, but it’s seeing a revival, in part by opening its doors to fresh-faced groups like the Farmer’s Guild. Five Guild chapters now meet in Grange halls, where members from both clubs can learn from one another. It’s with that spirit that the Guild launched their Free Farmer campaign on July 4, calling on farmers to tell the world what would help liberate them from the pressures of industrial agriculture—from corporate contracts that leave farmers broke to customers who expect seasonal, local, organic food at Wal-Mart prices. By finishing the sentence “A free farmer ______,” growers across the country are standing up for what they value. To some, a free farmer can afford to buy land. 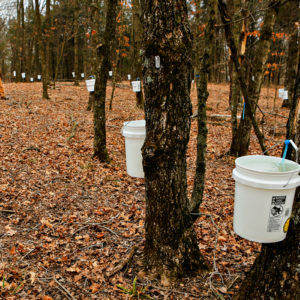 To others, a free farmer doesn’t have to navigate convoluted regulations. Whatever the answer, Wiig believes that revolutionizing our food system depends on farmers having their own voice. To find a Farmer’s Guild near you or to inquire about starting a chapter in your town visit the Guild’s website. Great article! As a Sonoma County Caterer who sources ingredients that are all local and sustainable and most often organic I love what the guild is doing! The meetings are fun, great for business and great for sustainable agriculture! Catering is hard work, but farmers definitely work the hardest and working towards more appreciation and support for small organic farmers is so important! Glad to have this group and looking forward to working with them more in the future.